Natures Home magazine uncovered How do tree seeds spread? How do tree seeds spread? With autumn comes race for trees to reproduce. The seed dispersal begins. Trees are dropping, flinging and throwing their seeds, searching out new space and light to grow. But not all trees use the same technique – there are lots of ways to disperse a seed. For a start, seeds come in many different packages. What’s the difference between a nut and a seed? A seed is a tiny plant embryo enclosed in a protective covering (usually called a fruit). Once in a suitable place, it germinates, putting out roots and shoots so a new plant can grow. Most seeds are released naturally. Apple pips and cherry stones are seeds. A nut is a seed contained within a hard shell. It does not open naturally to release the seed but must have the shell broken – perhaps by teeth. So how do these seeds disperse? 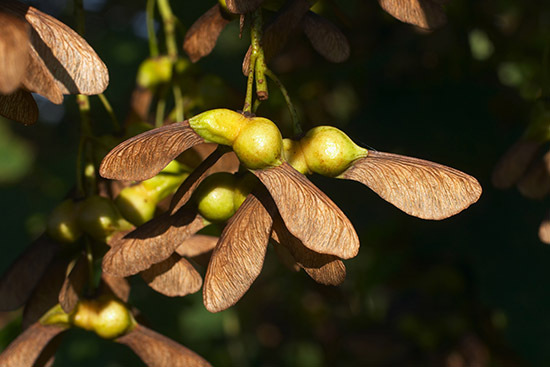 Birch seeds are tiny and easily wind-borne, Field maple, sycamore, ash, lime trees and hedgerow elms are all among those that have developed winged seeds or samaras, also known as helicopters or spinners, that twirl or glide away from the parent tree to land elsewhere. 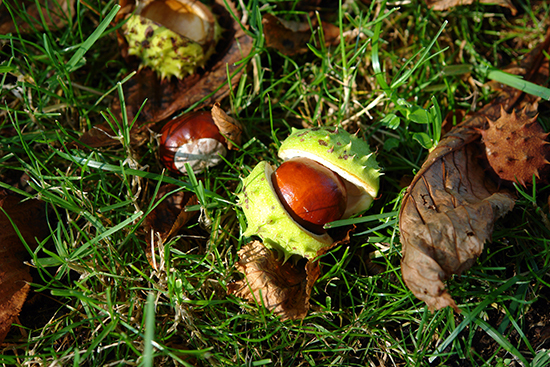 Heavy fruits and nuts such as conkers, chestnuts, hazelnuts, beech mast, plum and crabapple simply drop off the tree when they're ripe, and may roll a short distance. Hitting the ground often breaks the case or soft fruit open. Animals can transport seeds in a number of ways, from on their fur to in their digestive systems. 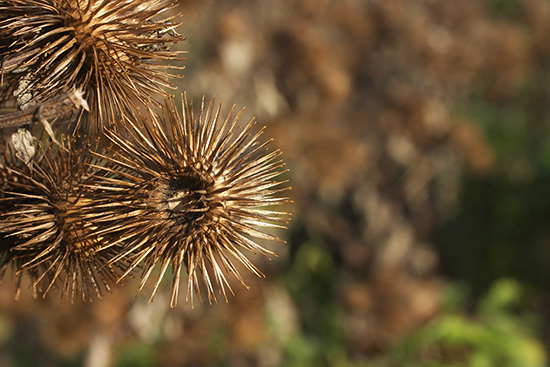 The hooked planets of burdock (which inspired the invention of Velcro) attach themselves to animal coats and hitch a ride away from the parent tree. Seeds in berries and fruit are eaten, and pass through an animal's digestive tract before landing on the ground in their own dollop of fertiliser. Jays and squirrels bury (and sometimes forget) acorns. Some seeds float away to new territories. 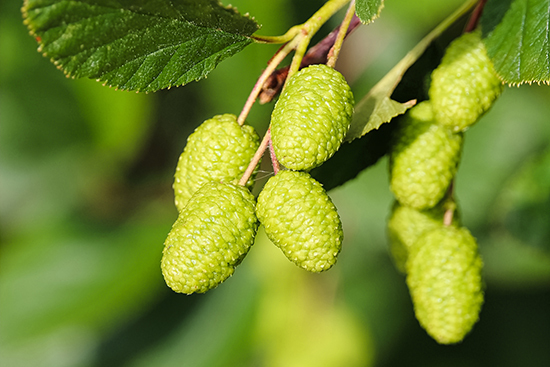 Birch relies on water for transport, and alder has adapted its seeds to contain air pockets and corky “lifejackets” to keep them afloat. 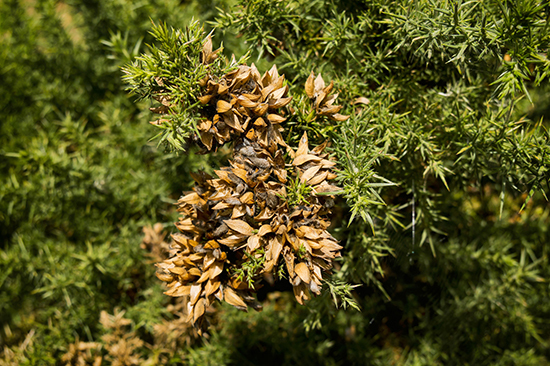 Seed pods (such as gorse) pop audibly when all their moisture has evaporated, flinging seeds wide in a mini explosion. 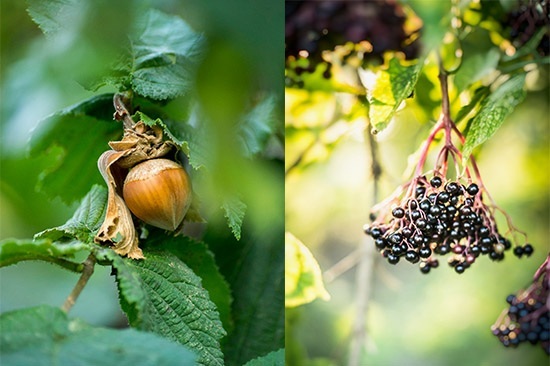 Read more about trees and seeds on page 17 of your latest Nature's Home magazine. Use our handy guide to identify trees and seeds you've seen, or plant some trees in your own garden. What unusual seeds have you spotted? Let us know in the comments below.